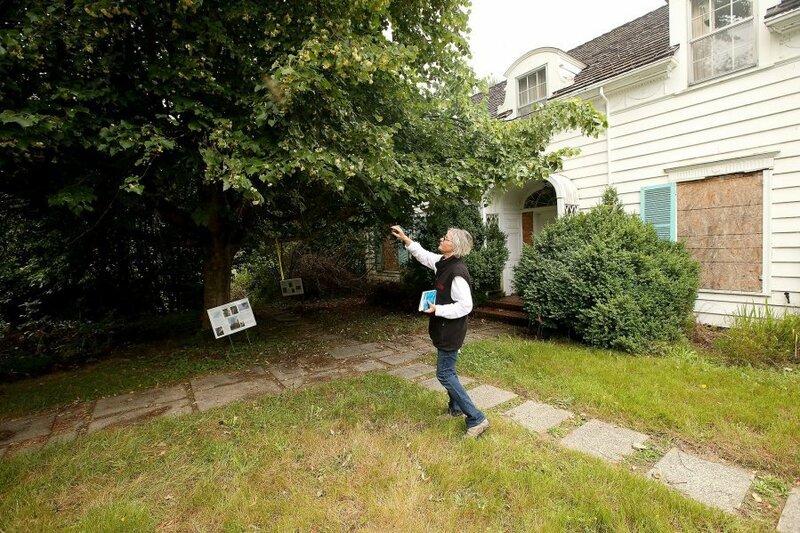 Retired Olympic College Professor Susan Digby checks out a Linden Tree at the college’s ‘secret garden.’ Meegan M. Reid photo. Down a lonely, one-way road off the Olympic College campus is an historic home teeming with eclectic plant life. In recent years, the treasured estate long owned by Dr. Henry and Elizabeth “Billie” Barner has largely gone unnoticed. 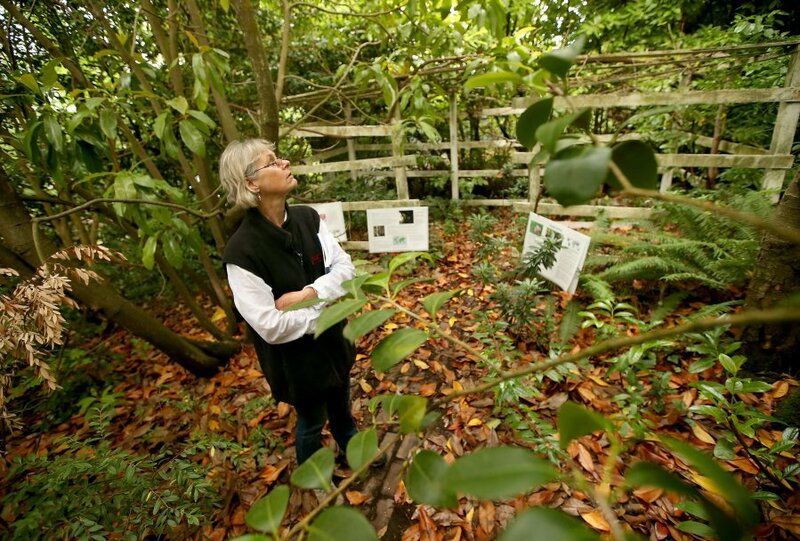 But place now known as Olympic College’s “Secret Garden,” whose potential is being tapped by a few professors there, is enjoying new life as an outdoor classroom. And, on Sept. 24, you’ll have a chance to see it for yourself. Nestled on the shores of the Port Washington Narrows, the property is home to plant life the Barners imported from around the world. 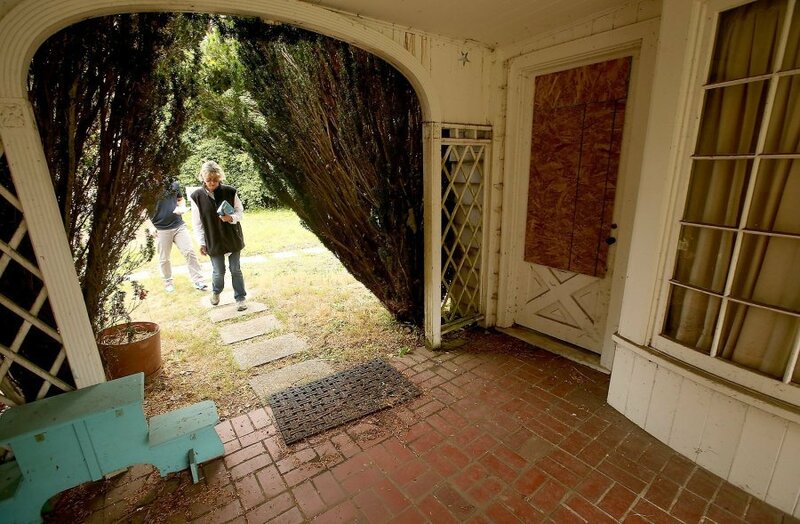 Their beautiful residence, admittedly, has seen better days, but is still a piece of history — its design was the first completed by Elizabeth Ayer, the first woman to graduate from the University of Washington’s school of architecture. As part of the Kitsap Sun’s latest Story Walk, we will tour the property with special guests including Olympic College President David Mitchell, Kitsap Historical Society Director Dean Tingey, and the professors who are utilizing this now Olympic College-owned resource as a learning environment. RSVP here. The tour is free. Photos by Meegan M. Reid.